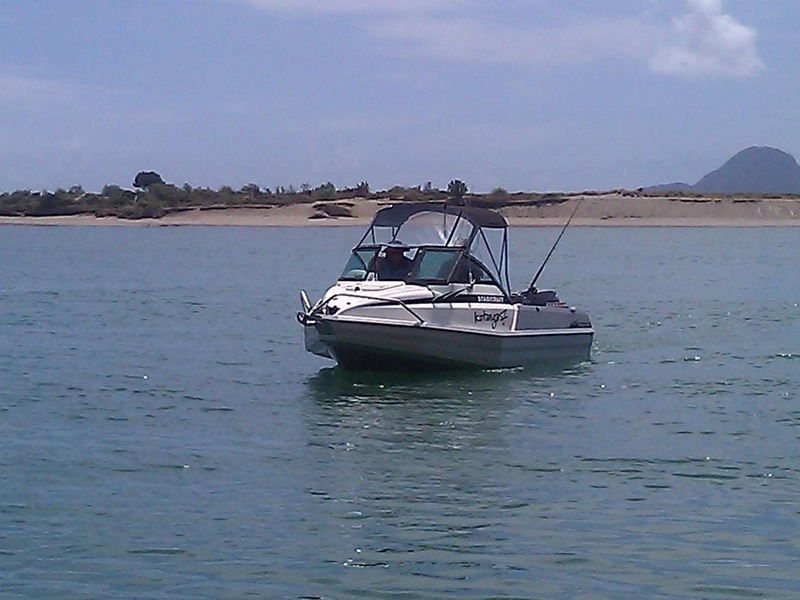 On some occasions, the bar across the Whakatane River entrance is deemed too dangerous to cross and today was one of those days. So a day of no fishing, however, I do have one shot of John coming back into the wharf yesterday. Roy and I headed into town to attend to a few chores and on our way in, we saw a Mirada like ours parked in the Bunnings carpark. This is the first one we have seen like ours with the owners around so we dropped by to say hello. After a bit of a chat, we said that we may well meet up over the winter months somewhere in Northland. Shopping done, we headed out to the entrance to see for ourselves why the coastguard had labeled the bar ‘unworkable’. We now know why, decent sized waves were breaking over the bar and rolling through the entrance, not a safe place to be. 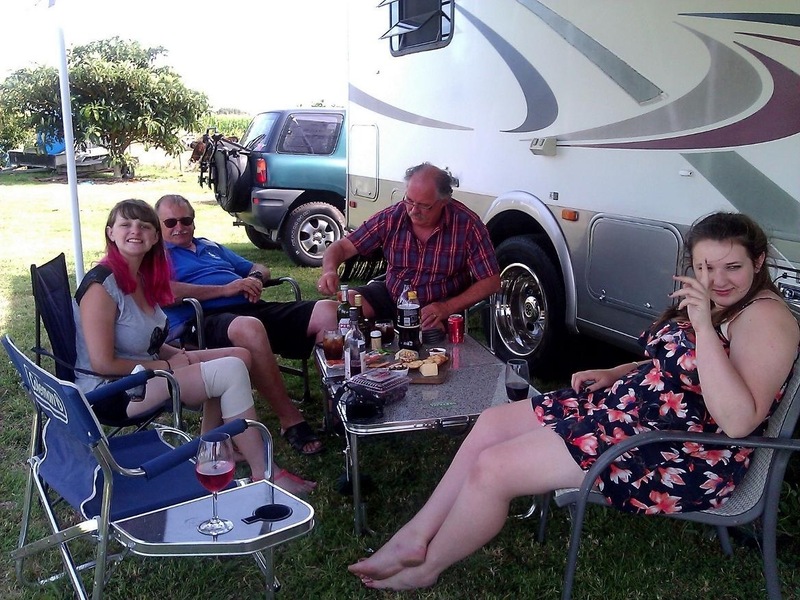 Today was our turn to host drinkies, so as per usual with our motorhoming life, we set up the table and chairs, prepared a few nibbles and sat down to duly host afternoon drinks with John, Jenny and Julie. The weather has been outstanding whilst we have been here, and it was very pleasant sitting under the awning of the van, telling tall tales. 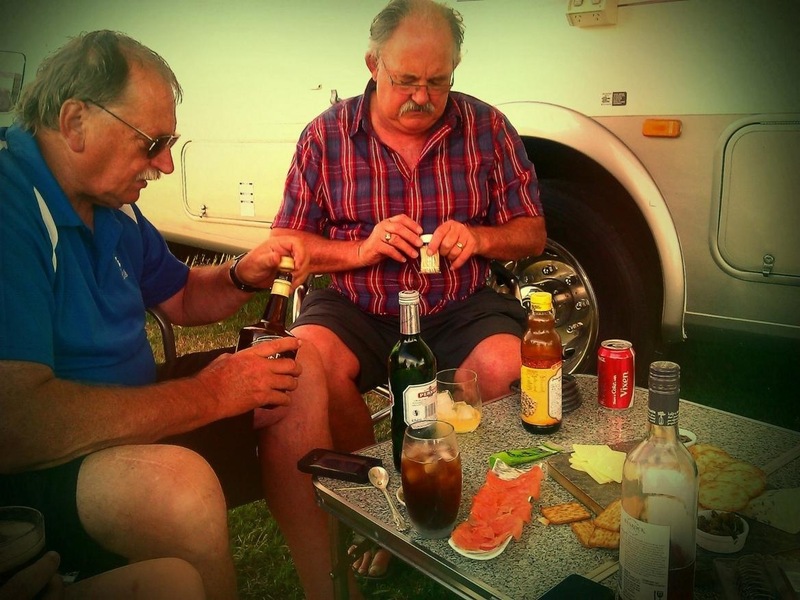 John and Roy sorting out the important things. 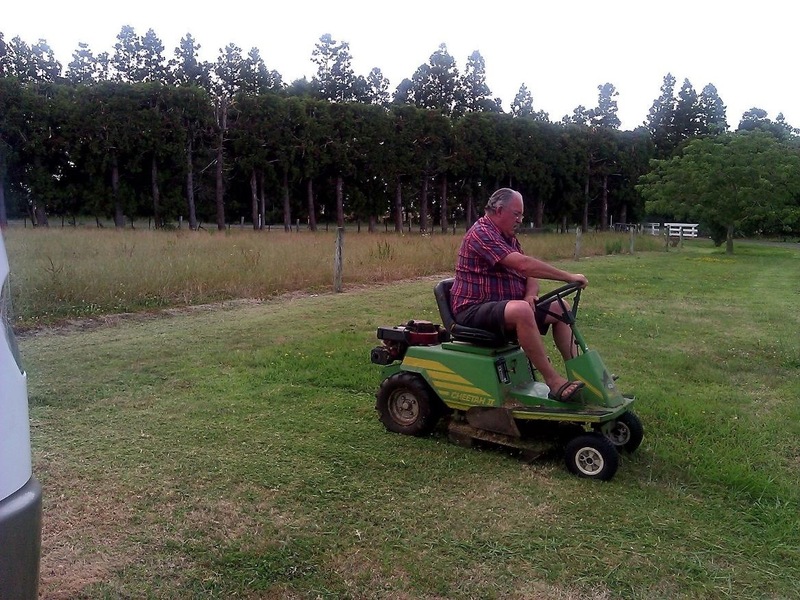 Today was also John’s turn to cook dinner, so whilst he attended to the preparation and cooking of the Bluenose, Roy decided that it had been some time since he had mown a lawn. Well, sitting on a lawn mower constitutes mowing a lawn does it not? Only one slight hiccough when Roy got too close to a tree and one of his hearing aids got flicked out. A search party was gathered, grid pattern search about to be instigated when lo and behold, John found it! Thank goodness as it would have been a time consuming, not to mention expensive, exercise to have it replaced (see December 31 2011 for a similar exercise!). After dinner, a few games of Sequence before it was time to hit the hay. Today, 25th January, and happy birthday to niece Natalie. Hope you are greatly spoilt, as you deserve to be. And today is also the birth day of our friends Anne & Paul’s new grandchild. We trust all goes well for Michaela and Brad for the birth of their much anticipated baby.